When it comes to Chinese cuisine it’s either you make it adventurous or don’t cook at all. From the chef to the ingredients and to the food on your plate, everything has to be well thought of and done. Think of it this way, why is Chinese cuisine the only cuisine that’s gaining so much popularity? Aside from being creative both at home and in our hotels, we use authentic ingredients to make our superb meals. The light soy sauce is one such ingredient. It is a multipurpose kind of ingredient. For some reason, this is an ingredient that you will never miss in any Chinese home. Do you want to know why? This is a type of soy sauce (a kind of condiment that is made from fermented soybeans, water and sometimes roasted wheat or barley grains). There are mainly two types of soy sauces one is dark soy sauce which we discussed in the previous article and the other is light soy sauce. The light soy sauce is a thin reddish-brown condiment that is made from fermented wheat and soybeans. As the name suggests, the sauce is usually lighter in colour, it actually tends to be transparent. 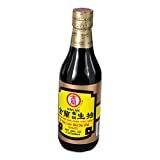 This is the regular soy sauce because it is used in almost every meal and it’s a Chinese favourite. While some people believe that the word light soy sauce is used to refer to the lesser sodium used in the soy sauce, this is never the case. The light name is used to refer to the consistency and colour of soy sauce. The light soy sauce is usually as earlier indicated, transparent reddish brown in colour. This is because of the shorter time it takes to ripen. The sauce is used in all kinds of Asian cooking which may include: stir-frying, braising, marinating, steaming, dipping sauce and more. This sauce is saltier than the dark soy sauce counterpart. Light soy sauce is also thinner in consistency. The sauce is a versatile kind of sauce which you may use in almost all kinds of food. The Koon Chun products are made in Hong Kong. The award-winning product is made from Canadian soybeans, sea salt and wheat flour. It has a superior light sauce which is the best version of the soy sauce taking about 6-12 months to be ready. 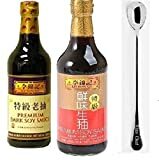 The gold version of Koon Chun light soy sauce is between the thin soy sauce and black soy sauce. It suits dishes that don’t call for any particular kind of sauce. The Koon Chun brand is amongst the best brands in the market holding onto a complex, perfect flavour that’s salty. This is another famous brand. In fact, it’s said to be the definition of quality light sauce that is made in China. They contain no additives that may be used to preserve it or enhance the flavour. The product will change the taste of your food with its umami flavours. This is believed to be by far the best tasting light soy sauce in the world today. The double fermented type has the richest flavour. 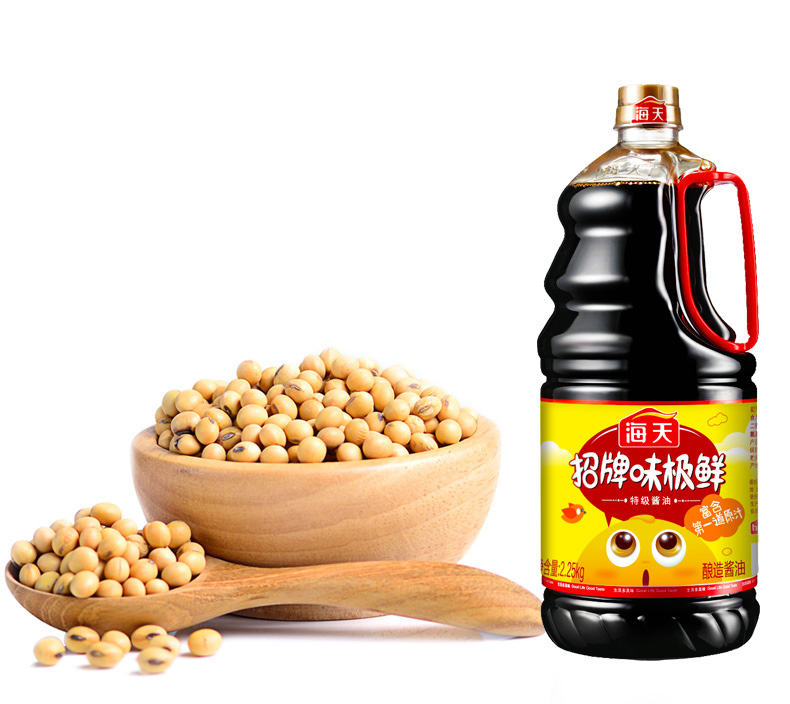 The above 4 are amongst the most common brands of light soy sauce. The sauce is very flexible and can be used in almost every kind of cooking and seasoning. 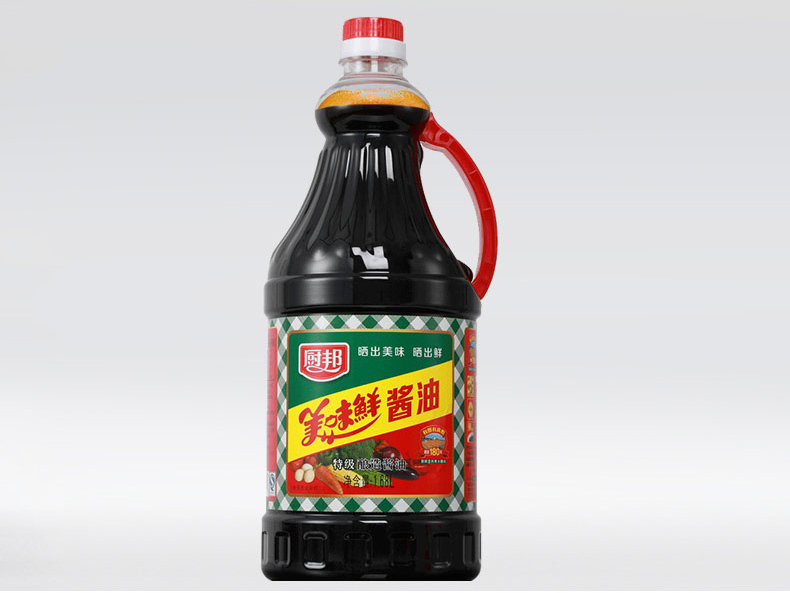 You may use it in your stir-fries, cold appetizers, stews, soups, dipping sauce and marinades. Whenever there is need to add colour to the soy sauce the light soy sauce is used together with dark soy sauce. The soy sauce is added when one begins to cook and you should note that the sauce is known to contain a lot of salt which makes it advisable to reduce the amount of salt you use in the meal. It can work as a condiment to most of your dishes. There are very many recipes that use light soy sauce such that we would take a whole day listing them. However, the list below is the chosen few recipes that you may wish to try. Be informed that you may use the light soy sauce in almost every meal. Below are the points of consideration that you may use when you need to buy a light soy sauce. I am not a person who encourages choosing a product based on the brand but when it comes to the kitchen ingredient, I prefer going to a familiar zone. The famous brands tell it all since it has stood the test of time and perfected their product. Brands like LEE KUM KEE and pearl river bridge should be your first choice. The common ingredients used to make a light soy sauce is soybeans, wheat, water and salt. It’s better to go for products that use the natural ingredients and completely avoid the use of artificial ingredients. Don’t compromise on the colour because it should be transparent reddish brown. Any other colour is an indication of a fake product. If you can taste the product the better for you. Although if you can’t, note that the soybeans or other raw products used should be non-GMO as this will determine if the umami flavours are maintained or not. Before you decide to buy the product read the label to confirm whether your potential product is certified. The certification is normally an assurance that the product must be of good quality because it has passed some set standards. WHAT IF YOU HAVE YOUR PERSONAL DIETARY CONCERNS? Generally speaking, most soy sauce products are vegan since they use the soybeans or wheat. To be on the safe side though, conduct a research to establish whether the manufacturer adds extra stuff that may alter your preference. Assuming you have the celiac disease and would want to use the soy sauce. always understand that most of the light soy sauces or generally soy sauces are made using wheat. Therefore, consult with your manufacturer to find out whether they have traces of wheat or better yet go for tamari which is mostly made without wheat. Just because you are supposed to avoid lactose doesn’t mean you should avoid soy sauce. Soybeans produce lactic acid which is so different from lactose. 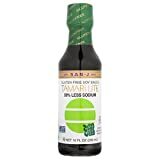 Light soy sauce is known to contain a lot of sodium so whenever you need to buy it and are concerned about the sodium, go for those with reduced sodium. Talk of a product that will bring out the robust of flavours. The product is made by the brand that is known to produce the best Asian sauces. The premium light and dark sauces are brewed naturally using the authentic non-GMO soybeans. It entails the rich flavour and has a duty to enhances the aroma of the dish. This naturally brewed product is made to suit all and sundry cooking. The strong and authentic Chinese product will help you produce your rich aromatic and flavourful Chinese dishes whenever you need to. This product is not your any other kitchen ingredient. 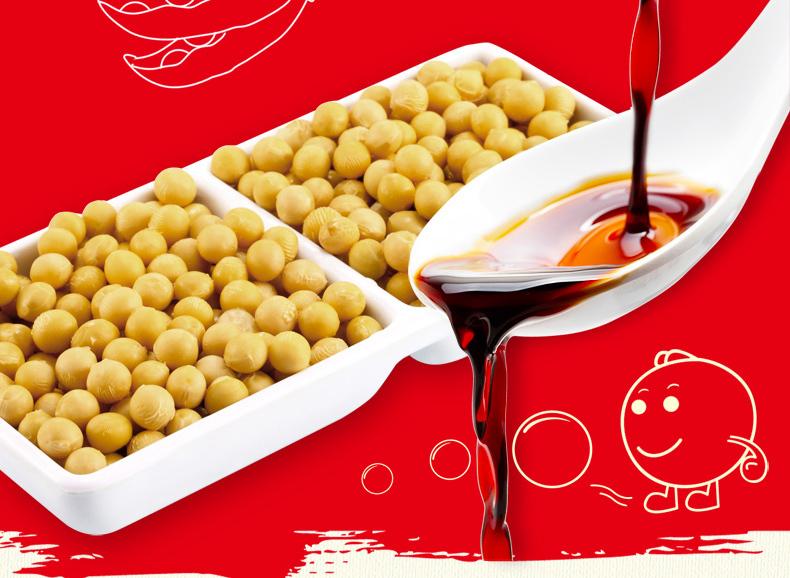 The product is made of soybeans, water, sugar, wheat, stabilizers and preservatives. These premium ingredients will help you bring out the umami flavours of any Asian dish, from grilled food, stir-fried meats and veggies, sushi and your fish. The sauce helps enhance your flavours by improving the texture and taste. Furthermore, it helps eliminate the bad odour of fish and meat. If healthy product is your concern, rest assured that this product has a reduced sodium level of about 70% less than the usual light soy sauce. As you can see, this is your game changer. This product is intensely salty yet deliciously sweet and almost juicy. When it comes to the fermentation method, the company is known to use the open-air fermentation process which gives the soy sauce some exceptional flavour, colour and consistency. In fact, the product is known to retain a strong natural flavour of preserved beans. The product works great for your dishes that don’t require a lot of colour. It’s ideal for stir-frying your veggies and marinating your fish and meat. You could also use it as a dipping sauce. Here is another Chinese authentic product that is made using the open-air sunlit method of fermentation. I love it for being salty yet giving you the sweet finish towards the end. The product has a strong fragrant with a fresh finish. It assumes the clear and pale amber colour. The sauce may be used in every place where the soy sauce is needed. You can also use it for cooking, as a dipping sauce or use it as a finishing ingredient. The kimlan soy sauce has a mild, soft soy taste with less salt. This Taiwanese product is made using the low-temperature fermentation technology. It usually adopts a lighter colour with a strong aroma and original flavours. Compared to most other brands this is less salty with rich and in-depth umami flavours. If you have your tasty meal and would love to add some savoury feel to it, this is your on the go product. The product is naturally fermented and nicely packaged ready for you to devour it. For those of us who are concerned about our health issues, here is a gluten-free product that is further 50% less in sodium. If you are also trying to reduce the amount of salt intake for your family without compromising on the flavours, this is your product. This product doesn’t entail any additives, GMO’s or other artificial additives. The brewers ensured that in reducing the sodium they still maintain a robust of flavours. Talk of marination, stir-frying, cooking your seafood or braising, this is your number one product of choice. 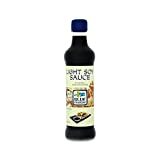 Here we have our award-winning product that is recommended by most chefs as one of the best soy sauces available. 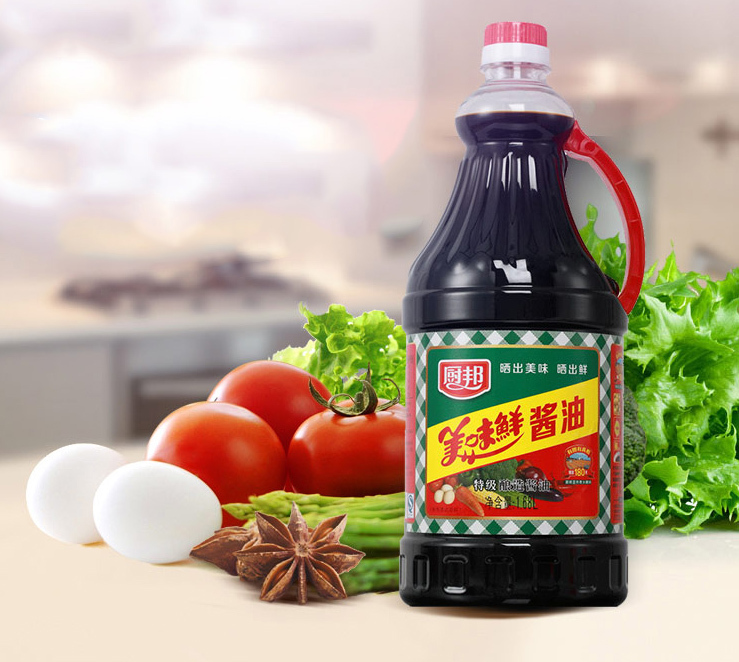 It’s drawn from amongst the very first fermentation to ever take place which therefore means that over the years the product has been improved to become the best soy sauce available. The product is known for its pure and clean flavours. In addition, it lies between the Japanese and Chinese soy sauce. In fact, it picks the best of both worlds. It has the rich rounded notes of dark soy sauce but without the additional caramel in it. Here’s to the clean, purest and crisp natural product. It will lend its umami flavours to your sushi, salad dressing or even sashimi. This is your all-purpose product that will add its unique flavours to a variety of your Asian dishes. The soy sauce is gluten-free and can act as an additional ingredient to your rice eggs among other meals. The product doesn’t have trans-fat and is known to be low in calories. This product is naturally brewed to release the depth of flavours. This is a European Union product that is made using the natural product without the use of artificial flavours. It’s further suitable for vegetarians because it contains no animal products. It’s lighter in colour and salty in flavour. Furthermore, it suits your seasonings, stir-fries and soups. For your richer sauce that will fit any kind of cooking, go for this product. The Japanese product is made using roasted wheat grains and soybeans which contribute to the rich aroma. It further has more salt than normal which is used to reduce the speed of fermentation process. The product further has the addition of mirin during its fermentation process. The end product of this mixture is a full-bodied flavoured with strong aroma soy sauce.